Use quotation marks to search for an exact phrase, e.g. "Innovation Unit"
HomeWe develop new solutions and create impact at scale. AboutVision, mission and areas of impact. 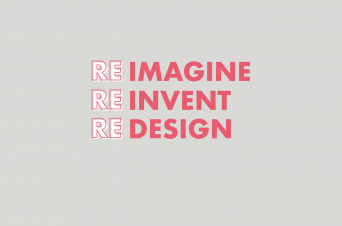 ApproachWhat we do and how we work – Formula for Innovation and Impact, and Model for Scale. WorkProjects, ventures and the big challenges we’re tackling. ThoughtsLatest blogs, news and publications. ConnectOur people, partners and current vacancies. We’re always looking to learn from others about what it takes to take innovation to scale. Human-scale at Scale is a report based on a 10-week research fellowship, funded by Winston Churchill Memorial Trust. It explores how student-centred approaches to learning can scale and spread beyond their site of origin. Read the Executive Summary of the report below, or download the full report by clicking the image. Young people are growing up in an age of extraordinary new opportunity, matched only by an extraordinary sense of uncertainty and challenge. It has become increasingly apparent that traditional, didactic models of schooling are ill-equipped to prepare young people for their 21st, and now 22nd century futures. Consequently, education systems across the globe have seen student-centred learning designs sprouting up at their margins, having a positive impact on student’s learning outcomes across both conventional and new measures. By designing schooling and learning around serving the needs, interests and passions of every single child, not just in a changing world, but in their changing world, these new approaches challenge the orthodoxy of what has dominated the education landscape. While these beacons are welcome, the challenge many systems face is that these emerging models are either locked down in the periphery of systems, struggling to spread beyond their site of origin, or compromising their impact on outcomes for the sake of growth. Great education systems are not defined solely by the quality of their best, most innovative schools, but by the quality of learning experienced by the vast majority of its students. Innovation at the fringes of education is insufficient. We have a moral imperative to bring the impact of new practice and school designs to all corners of our systems. We can’t continue on a path of ‘boutique schooling’. We all share a responsibility for each and every child in our communities to benefit from these innovations. The appetite for more autonomous schooling systems is providing a fertile landscape to pursue a significant system change towards student-centric, deeper and future-focussed learning. Yet, system leaders and key intermediaries must be well informed and well equipped to act on this autonomy, to achieve excellence and equity rapidly and at scale. This is the difference between a fragmented and a pluralistic system. Unless we are all committed to different and better learning for all students, innovation is destined to be nothing more than another source of inequality, rather than impact at scale. The narrative around scale and spread leans too much towards the mechanics, levers and engineering of change. While many of these technical elements are indeed necessary – financial incentives, regulations, business cases – they are woefully insufficient on their own. 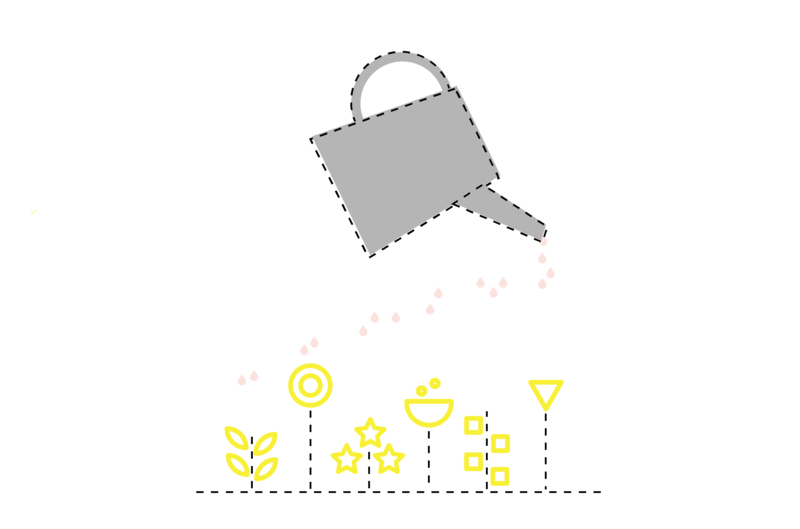 What’s needed, especially for innovative models of student-centred learning, is more of a consideration for what it takes to seed new mindsets, norms, behaviours and protocols in new adopter sites – a more cultivating, gardening notion of change. There exists at worst a gap in understanding and at best an underestimation of the role culture plays in scale and spread. We know that any change, especially involving us humans, is intensely personal and therefore cultural. If we are to understand how to effectively spread emerging models of learning, we mustn’t neglect the cultural change journey that must be travelled by adopter sites and the people at the heart of them. There needs to be a renewed focus on the human. 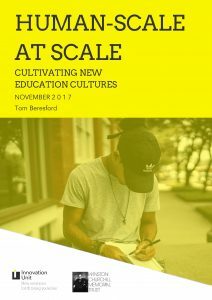 Human-scale at Scale seeks to explore how to scale student-centred learning models, not just in the context of the structural mechanisms and procedures involved but also in terms of seeding, spreading and cultivating new education cultures. It explores how six innovative student-centred learning models are scaling and spreading across the USA. These stories of Human-scale at Scale that represent jurisdiction-led, network-led and school-led journeys. The organisations that have developed or facilitated the development of these models have, to varying degrees, succeeded in achieving not just different and better outcomes, but also adoption of their model and growth of the impact beyond their site of origin, often across districts, states and sometimes nationwide. The analysis culminates in the beginnings of a Human-scale at Scale heuristic. We must stop thinking about these journeys as a science, but rather as a learning process. Rather than a modular, procedural and general framing, we must think more about how we can scaffold bespoke human-centric journeys. Rather than a rigid toolkit, some rules of thumb are needed. The hope is that this heuristic can begin to refine the efforts of philanthropies, system leaders, innovators and educators, to accelerate culture change and help make it a tangible component within these scaling journeys. Human-scale at Scale illuminates how scale and spread is as much to do with continuous innovation and improvement as it is about best practice; as much to do with social learning as it is about high quality implementation processes; and as much to do with educators development of new, local knowledge, as it is about them responding to what is known more broadly. Rather than having change done to them, (whether through compliance or incentives), there is an intrinsic value in empowering educators to become leaders of the change in their local contexts and beyond. Recalibrating how educators go on their journey towards a new way of working can create space to consider what cultural shifts are necessary. Intermediaries, be them venture philanthropists, local and central governments agencies or non-for-profits, must move beyond the compliance, dissemination and replication strategies of old. Command and control has a severely limited return when seeding and cultivating new education cultures. But that doesn’t mean they should get out the way and leave schools and educators to travel this journey alone. A balance must be struck in which intermediaries adopt a new modus operandi: one of stewardship. They must move from rigid interventions to more agile and dynamic initiatives which both enable and support system and school leaders to travel a journey with their educators. They must be both catalysts and guardians of change, experts and fellow learners, provocateurs of both idealism and realism, critical friends as well as financiers. With intermediaries as stewards of change, we can better devise strategies that speak to all necessary aspects of scale and spread – both the technical and the cultural. By coming at the challenge as a community of stakeholders who all bring strength and assets, knowledge and ignorance, we can travel the journey towards scale and spread together. A building revolution is taking place across Australia. State governments and education systems are commissioning new school builds in response to population growth and the changing demographics of both regions and metropolitan areas across their jurisdictions. 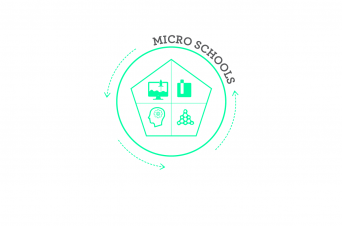 Is the UK in Need of a Micro School Revolution? Thinking about new solutions for how we ‘do’ education, schools and learning has never been more important, but neither has it been more difficult. School Design Lab brings a practical, holistic approach to the challenge of school design, backed up by a wealth of experience and insight from across the world. Keep up to date with all the latest Innovation Unit news, content and events.